ATG Managed Services is comprised of individuals with technical and domain expertise, with supervision by legal professionals to ensure high quality migration of critical contract information and service obligations. The team is tightly coupled with ATG’s Certified Implementation Consultants with leading technologies providers such as Salesforce, Apttus CLM, Callidus Cloud, Conga Contracts, and SpringCM. 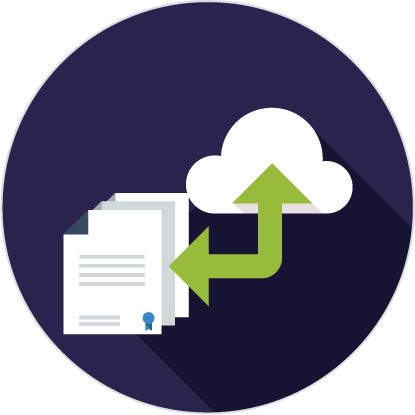 ATG Managed Services contract migration teams provide a cost effective, timely solution that mitigates risk for clients looking to operationalize their contract data. Contract migration teams can be spun up very quickly, with small or large teams coordinating to meet aggressive project timelines. Contract migration teams are part of a coordinated team effort, working collaboratively with client business stakeholders and implementation teams. Teams are tightly managed by seasoned Q2C professionals. Contract migration teams are supervised by legal professionals to ensure the highest degree of precision and risk mitigation. Contract migration teams can leverage numerous technologies, including ATG’s FuseKit™ to support partial automation of the process. ATG’s contract migration teams are supported by ATG’s Salesforce CPQ, CLM & Billing practices, which consists of more than 150 consultants who have vast expertise in enterprise architecture, program management, integration architecture, quality assurance, and deployment.